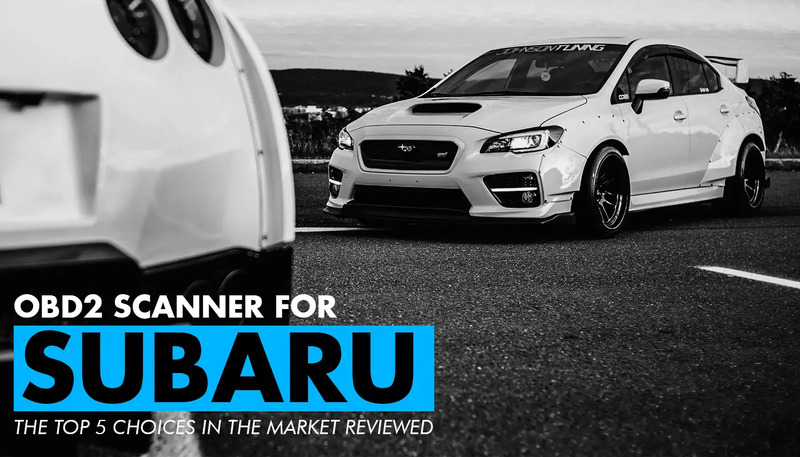 Are you looking for a new OBD2 scan tool for your Subaru? That’s exactly what we’re here to look for right now. This is a highly advanced OBD2 engine scanner and diagnostic tool for Nissan, Infinity, and Subaru vehicles. It’s pretty functional, yet does not cost all that much. The iCarsoft i903 is a fairly simple-to-use scanner and diagnostics tools. Simply plug it into your vehicle and this item is ready to go. It has all current updates already loaded onto it, and also comes with a cable so you can perform more updates when needed. What’s also pretty cool is the advanced data management function that works with both Mac and PC. The iCarsoft i903 might look basic, but it is actually capable of handling a wide variety of complex defects and problems. It’s a fast and convenient automated self-diagnostics tool for your vehicle that can read and clear a variety of error codes. We like how the iCarsoft i903 is fairly simple to use, how it doesn’t need any batteries, and how it can handle a variety of issues. The screen on the iCarsoft i903 is a bit small and hard to read. Also, keep in mind that this item can only diagnose engine and transmission issues, but nothing else, which does limit it a bit. 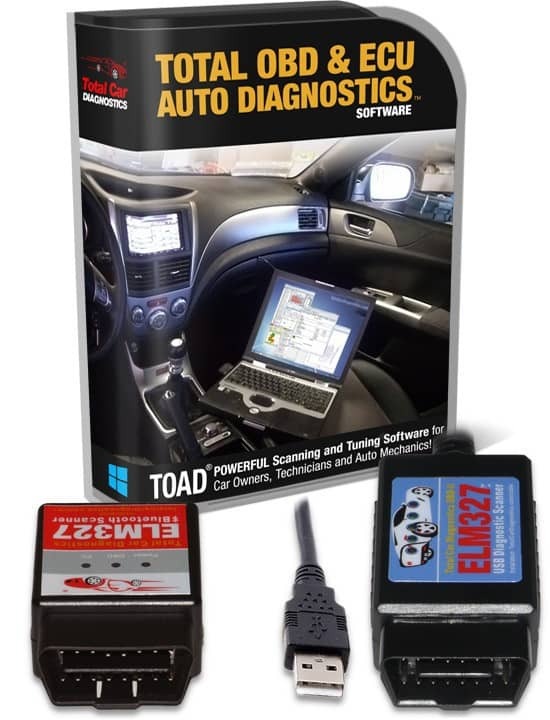 The Toad Pro is a nice OBD2 scanner for Subaru and has the ability to perform OBD diagnostics, enhance performance, and solve error codes. The Toad Pro needs to be connected with a cable to your computer to function, which is different from the usual handheld scanners. The software, while it does take some getting the hang of, is fairly simplistic. The Toad Pro has the ability to perform a health check on your car, to diagnose common issues, tune and edit ECU values, optimize fuel efficiency, build custom dashboards, fix problems, and can do a comprehensive CO2 emissions readout test too. We like how this software comes with a whole lot of functions in relation to coding and diagnostics. We don’t like how the Toad Pro requires a computer to use, as it is really just software, without any hardware included. If you need a highly functional OBD scan tool and dtc code reader, the Innova 3160g is a fairly well-priced option to go with. The Innova 3160g can read and diagnose error codes from domestic and foreign vehicles made after 1992. It has the ability to read and erase ABS and SRS trouble codes, plus it can reset the oil light. The Innova 3160g also allows for the resetting of the battery maintenance light, plus a couple of other things too. It features a nice 3.5 inch display and is quite easy to connect to your vehicle. Diagnosing and erasing ABS and SRS codes, plus a variety of maintenance lights is easy with the Innova 3160g. It also offers many easy solutions to vehicle problems. One issue here is that although the Innova 3160g is advertised as working with all cars made after 1992, there are quite a few which it does not work for. This is an inexpensive code reader. Just plug it into your car, then use the Bluetooth on your phone or tablet to read the data. Being able to read the data in an easy way on your phone or tablet is definitely a bonus, and it works for both Apple and Android devices. This is a very easy-to-use code reader that has most of the functions of a highly advanced diagnostics tool. It comes with free app updates, it’s highly portable, it can save data, and provides you with data in an easy to read and interactive manner. It features over 6.6 million verified fixes to a multitude of issues. We like how the BlueDriver Bluetooth is small and portable and has a whole lot of fixes it can provide. We don’t like how the Bluetooth function doesn’t always work right. Keep in mind that it only works for North American cars. This is a moderately priced automotive scanner that has quite a few different useful functions in relation to vehicle errors and problem diagnostics. The Actron CP9690 has a large and easy-to-read LCD display that works in 3 languages. It can scan and erase ABS and SRS error codes for various vehicles built between 1996 and 2013. It can record and play back live graph data, plus you can export data to your PC. It also allows for other functions such as service light resets, Auto ID, code connect, and more. The good part about the Actron CP9690 is that it is very easy to use and is quite functional too. For the price, we would expect the software to be slightly more advanced than it is. We think that the iCarsoft i903 is the most functional and easy to use OBD2 scan tool here. However, if all you want is the software, we would recommend the TOAD, as it works great on both Macs and PCs.